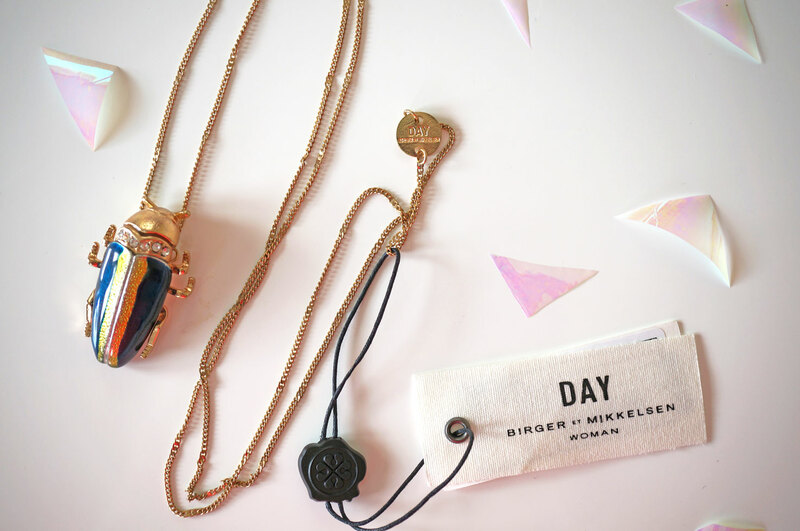 I’ve just got a quick post for you today, most of you will probably know that I completely love jewellery – as in costume jewellery, not diamonds or anything (I wish!). 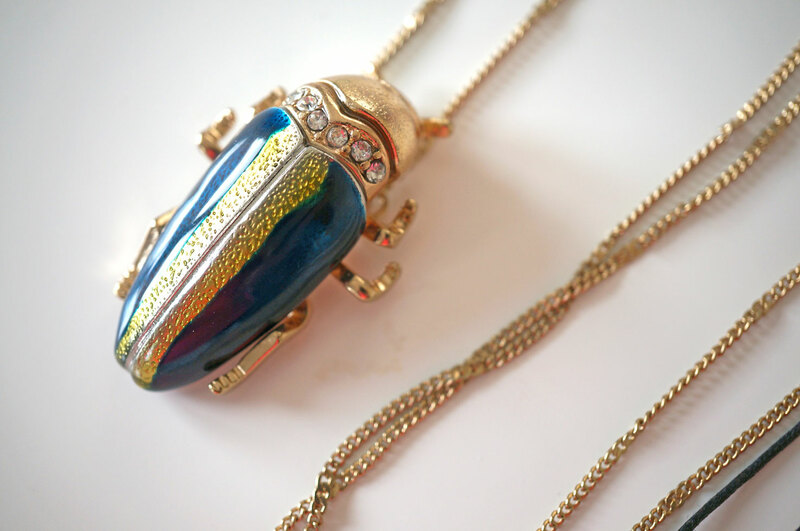 But I’ve been trying to cut back on my purchases as I have a habit of ‘just picking up’ pretty shiny things that catch my eye when I’m at the shops. I’d been really good for aaaages up until last week… but it was the best bargain ever! So now I simply have to show you my brand new gorgeous necklace from Love My Apparel! 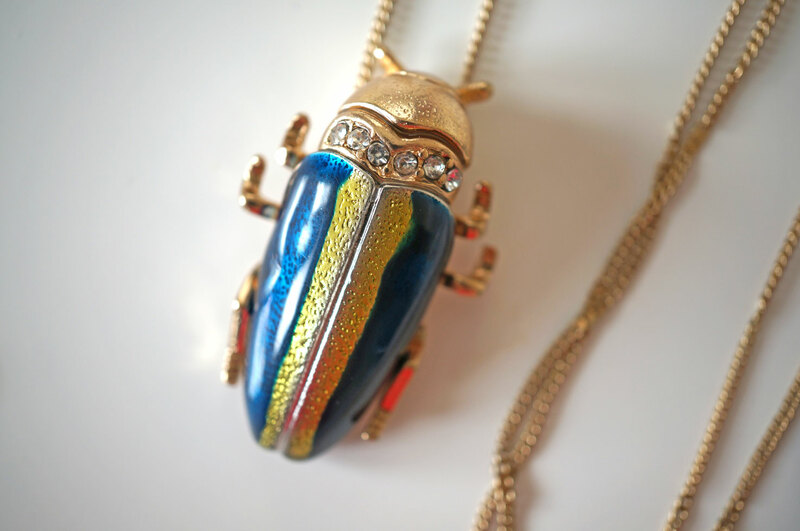 This is the Night Scarab Pendant Necklace by Day Birger et Mikkelson, it was a complete bargain in the sale and I’m so glad I snapped it up! FYI the Love My Apparel sale is still on, and you can grab some great designer bargains there so make sure you take a look! Previous Post My Top Ten Sounds Of Summer 2014!